Learn to strum your ukulele the natural way: BY EAR. Are you in a strumming rut? Can't sing and strum at the same time? Can't figure out what strumming pattern to use on a song? Having difficulty playing along with others? 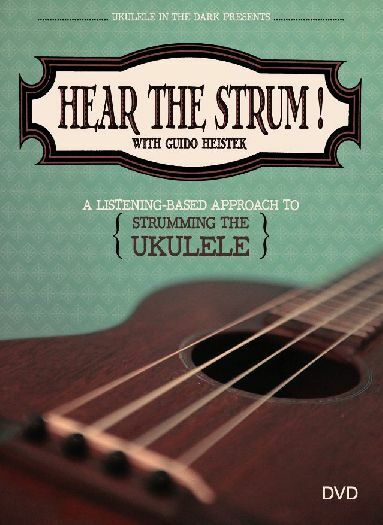 Let Guido Heistek help you free your natural strum by using your ears and your innate sense of music. Anyone can strum by ear. This DVD will show you how. Learn how to play swing and straight feels, songs in 3 and 4, latin rhythms, muting and more. Also learn Guido's original PAPER STRUM TECHNIQUE. Running time: 60 minutes + 20 minutes of extras.